Today I’m looking at COVERGIRL Colorlicious Oh Sugar! Vitamin Infused Lip Balm. Covergirl’s Oh Sugar! Lip Balm is light weight but loaded up with hydrating grapeseed oil, avocado butter, and Vitamins C and E. It smells heavenly! There is a wide range of colors. I’ve tried Taffy, Sprinkle, and Jelly. Although I liked them all, Jelly has been a close friend as of late. Plus, these are a great drugstore bargain price. I kept reading so many good reviews about the Oh Sugar! Lip Balm online that I just had to try it out for myself. When I first opened a package and tested one out, I was disappointed. I was expecting it to be more like a lipstick, but it’s not. This is definitely a lip balm. My first impressions were off, and once I got over that I realized this is actually a wonderful tinted lip balm! It’s very sheer and adds a touch of color on “no” makeup days, or it can add a boost to another lipstick color. It is not long-wearing, and needs to be reapplied often, but most lip balms are that way. I give the Covergirl Colorlicious Oh Sugar! 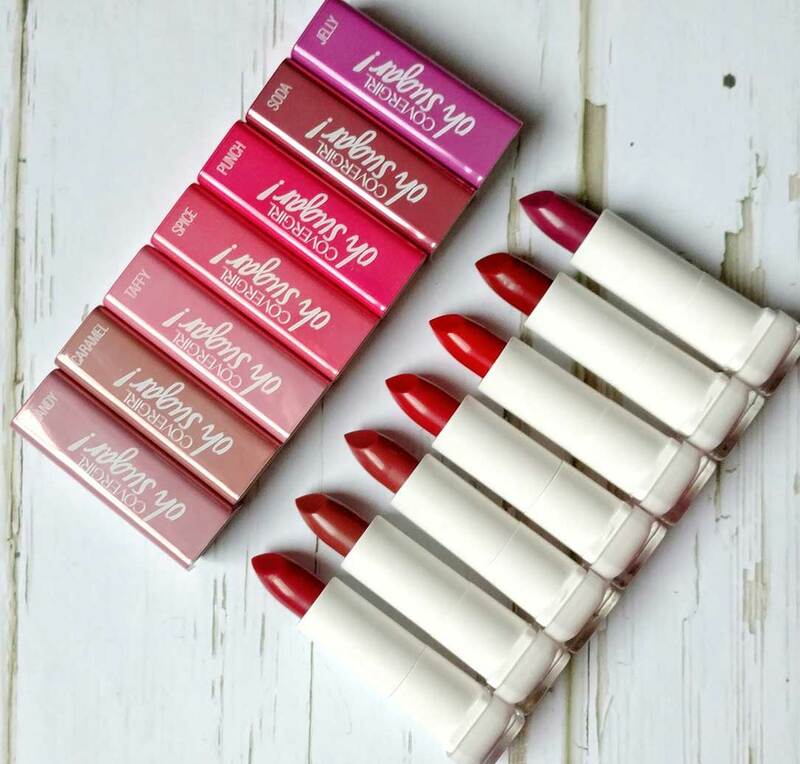 Vitamin Infused Lip Balm an easy, breezy, beautiful 5 out of 5! This is in my purse at all times! My current favorite shade is Jelly. It’s a lovely purpley-pink, but again, it’s very sheer. Don’t let the color in the tube scare you… I don’t think the color of the lipstick really matches what it looks like on the lip. You’ll just have to try a few to see if you like the color. I wear the Jelly color over my long-wearing lipsticks, as well as by itself. The Caramel color is raved about by many too, but I haven’t tried that one yet. But—I WILL! Looking for more product reviews? Check out the makeup tag!